Pioneer in High Performance Computing Technology and Modular Computer since 1998. Technology Licensing Company with an extensive patent portfolio in high performance computing systems. 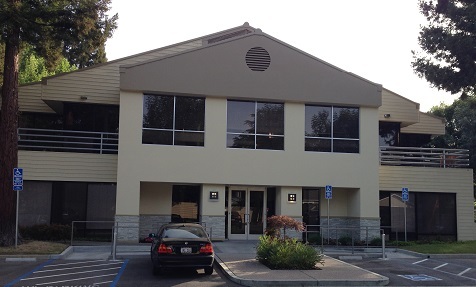 Offices in Mountain View, CA and McKinney, TX. ACQIS Technology Inc. debuted the new iMod and docking system in June 2000 at PC Expo in New York, and in mid-November 2000 at the Comdex fall trade show in Las Vegas. ACQIS Technology’s iMod computer module and docking system were heralded by the media, including in favorable reviews in the L.A. Times, Wired magazine, PC World, and the San Jose Mercury News. The company has been awarded over 20 patents on modular computing systems, and computing systems with high performance serial data communication, e.g. US 7,363,416 - Computer System Utilizing Multiple Computer Modules with Password Protection. On April 2, 2009, ACQIS LLC, Texas, a wholly owned subsidiary of ACQIS Technology, Inc. filed a patent infringement suit in the U.S. District Court in Tyler, Eastern District of Texas against 11 companies: All defendants settled with ACQIS before trial except one. 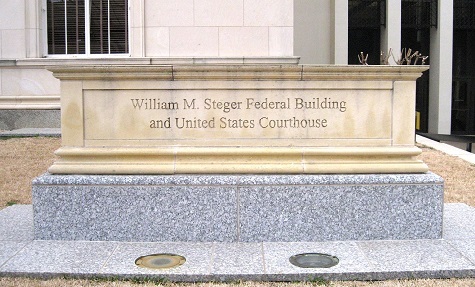 In February, 2011, ACQIS won the jury trial against the one remaining defendant with damage awarded to ACQIS. Settlement was subsequently reached between the defendant and ACQIS. High Performance Computer Technology Pioneer since 1998. 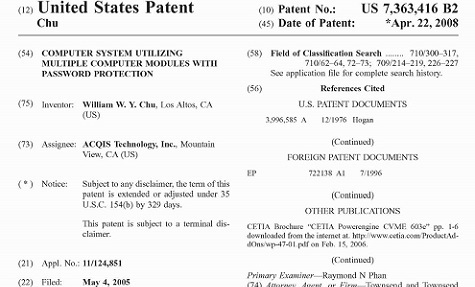 Extensive Patent Portfolio on Modular Computer Systems and High Performance Serial Communication. Numerous technology company licensees including several Fortune 100 Companies.